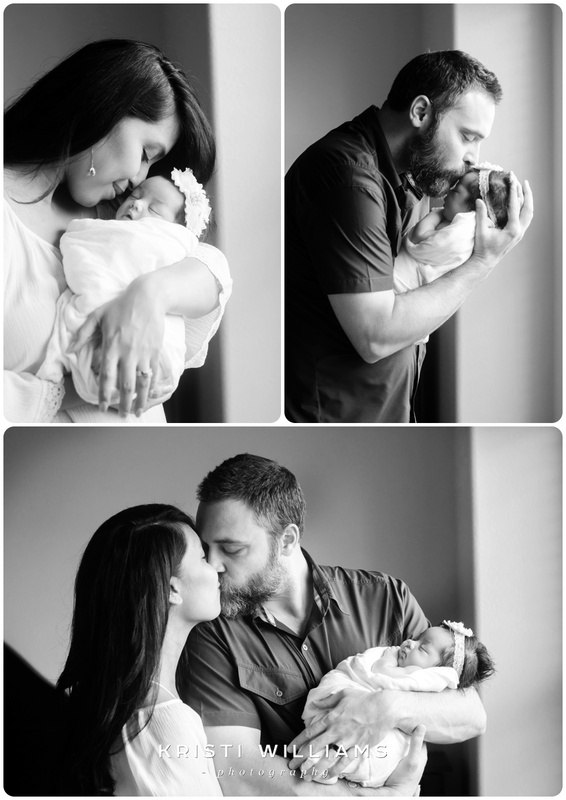 Stella's newborn session was a wonderful gift from an awesome friend to Stella's family. She knew that this was their last baby (the youngest of 4!) and so it was the perfect time to get family and newborn photos of Stella. I love to take photos of families in their homes on mom and dad's bed. You will see it as a recurring theme in my photos. It's where everyone hangs out anyway, right? haha! I absolutely adore this family photo, and they did too since they got a HUGE canvas to display over their fireplace. I love it! 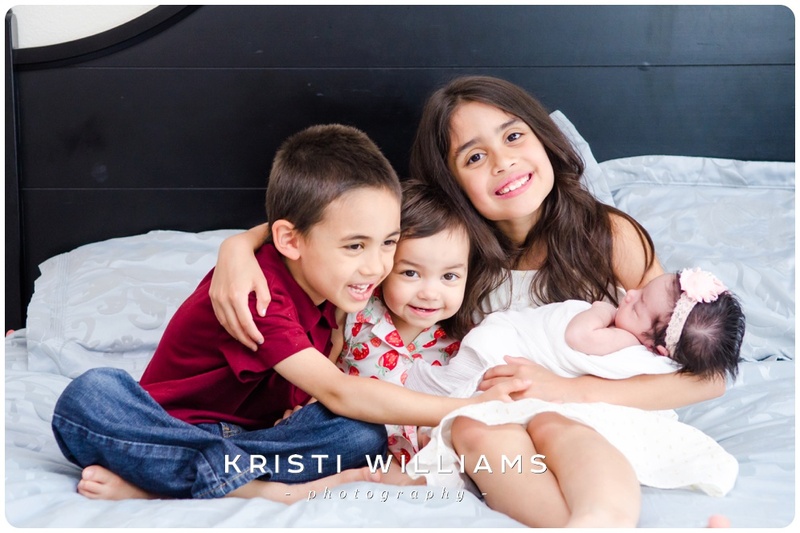 Stella slept so soundly throughout her session that we got all the family photos and her individual ones done in just 2 hours! Very rare! Usually it's a little longer. But she slept like a champ and let me put her in any outfit and any pose. She's just so adorable with all that HAIR!! 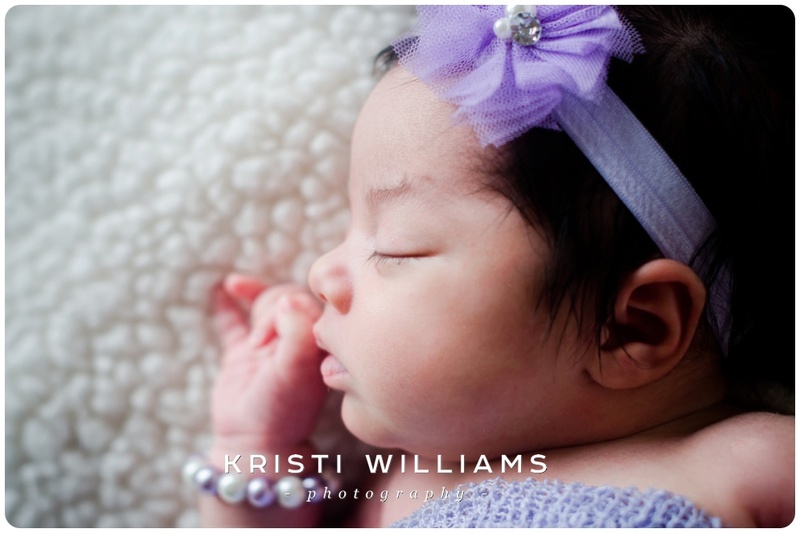 One more little story about Stella's newborn session. When her family came to view and choose their photos, during the slideshow, biggest sister and big brother stopped playing and quietly watched. As the photo of Stella in the yellow wrap and flower crown came on the screen, big sister whispered, she looks like an angel. Big brother whispered, she looks like a fairy - she's a fairy angel! Proceed with heart melting!